The Chicago Bears have suffered yet another devastating injury, and this time their defense is the group bitten by the injury bug. According to the Chicago Tribune’s Dan Wiederer, linebacker Willie Young will miss the remaining 12 games of the regular season with a triceps injury. The injury will require surgery, according to the report. In four games this season, Young registered two sacks and a total of four tackles. 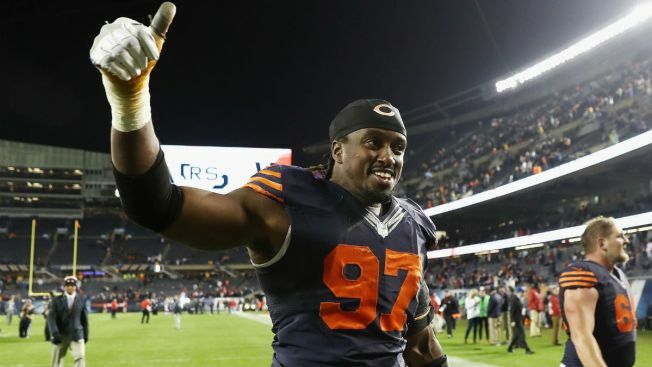 He has 26 sacks and 78 tackles in four seasons with the Bears. Young is the latest defensive player the Bears have lost to injury, as linebacker Jerrell Freeman and safety Quintin Demps have also been lost for the season. The offense has been hit hard as well, losing wide receivers Kevin White and Cameron Meredith to season-ending injuries.